It is seeking at least NZ$40 million in damages on behalf of owners of properties constructed with Shadowclad. Shadowclad is already subject to court proceedings. The Ministry of Education alleges the product has been defective and created 800 leaky school buildings. The estimated repair bill has been reported as being between NZ$1 billion and NZ$1.3b. The Ministry wants Carter Holt Harvey to pay all the costs associated with removing and replacing the cladding and fixing buildings. 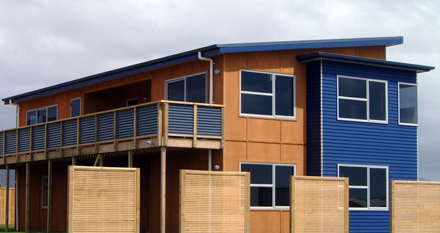 Adina Thorn, who is also running the current NZ$200m plus funded class action against James Hardie companies for the design and manufacture of its cladding products, said the Carter Holt class action was the result of building owners expressing concern over weather tightness issues with Shadowclad. “In 2014 the Fair Go television program found 24 property owners who believed they had been supplied faulty or substandard Shadowclad material. She had earlier said the merits of the case would turn on the suitability of Shadowclad as a building product. The court action seeks at least NZ$40m in damages on behalf of property owners. “Carter Holt Harvey absolutely deny all allegations against it. This case really turns on this board, and whether this board works or doesn’t work,” she said last year. Ms Thorn said the 117 owners who had joined the action would face no out-of-pocket expenses while litigation funding is in place. That would cover the cost of the legal team, technical experts and associated costs needed to mount a strong claim. “Our claim is comfortably in excess of NZ$40m but it’s likely to round up to NZ$50m in the wake of recent developments and the media around this and the Ministry of Education’s claim,” she said. It was seeking financial compensation for stress as well as replacing the cladding and fixing rot. It will probably be another year before Ministry of Education court proceedings begin. The company is denying the allegations.